Can Tho City and Phu Quoc Island will be developed into Mekong Delta tourism centres over the next five years, while My Tho City in Tien Giang province will be made a tourism hub for the region’s eastern tourism zone. 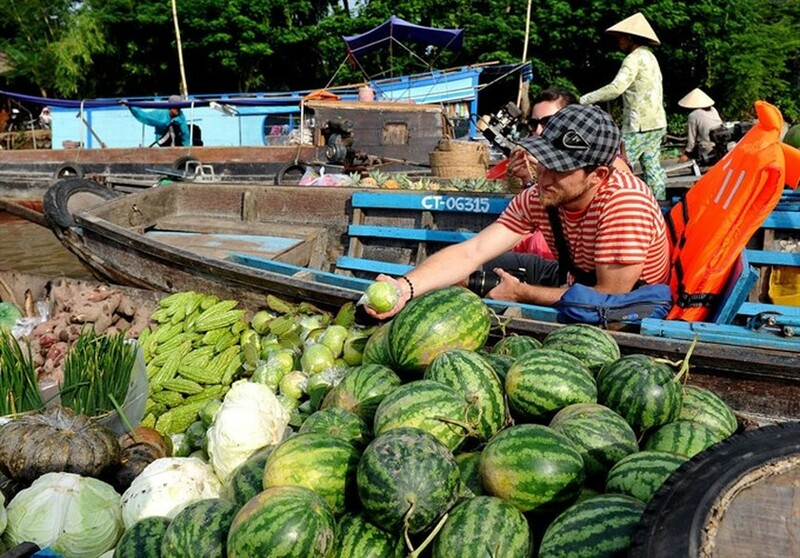 An overall master plan for tourism development in the Mekong Delta region until 2020, with a vision to 2030, has been approved by Prime Minister Nguyen Xuan Phuc. 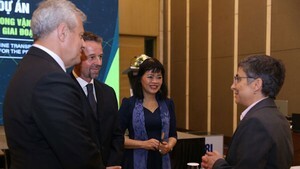 The plan aims to develop tourism in line with the region’s potential and advantages, affirm the region’s position in Việt Nam’s tourism map and enhance the position and role of tourism in the region’s development, thus improving the lives of locals and promoting the region to the country and the world. The Mekong Delta region includes Cần Thơ city and 12 provinces - An Giang, Bến Tre, Bạc Liêu, Cà Mau, Đồng Tháp, Hậu Giang, Kiên Giang, Sóc Trăng, Long An, Tiền Giang, Trà Vinh, and Vĩnh Long – with a total area of 40,576 sq.km. Last year, the region welcomed 5.5 million arrivals, and this figure is expected to increase 15-17 per cent this year. Meanwhile, under the newly-approved plan, the region hopes to welcome 34 million tourists, including 3.5 million foreigners by 2020, and 52 million arrivals with 6.5 million foreigners by 2030. These high figures make this plan an ambitious one for Việt Nam’s Government. The region targets total revenue of VNĐ25 trillion (US$1.12 billion) by 2020 and $111 trillion ($5 billion) by 2030. To achieve those goals, the region will focus on developing tourism products and areas. The region hopes to develop typical, appealing and highly competitive tourism products, such as experiencing life on rivers, ecological tourism, tours to cultural heritage sites, sea-island resort tourism and entertainment. Tourism products in the region also include community tourism, rural tourism, tours to historic-revolutionary sites, and meetings, incentives, conventions, and exhibitions/events (MICE) tourism. It will also pay attention to international markets, particularly Western Europe, North America, and East Asia. Another major focus will be the form of five national tourism areas: Thới Sơn in Long Lân Quy Phụng Island in the Tiền River between Tiền Giang and Bến Tre provinces; Phú Quốc island in Kiên Giang province; Năm Căn – Mũi Cà Mau in Cà Mau province; Tràm Chim – Láng Sen in Long An and Đồng Tháp provinces and Núi Sam in An Giang province. It also focuses on seven tourist sites including the Happy Land entertainment complex in Long An province, Ông Hổ Island in An Giang province, the Commemorative Site for the Southern Đờn ca tài tử and Cao Văn Lẩu musician in Bạc Liêu province, Ninh Kiều Wharf in Cần Thơ City, Hà Tiên town in Kiên Giang province, Văn Thánh Miếu in Vĩnh Long province and Bà Om Pond in Trà Vinh province. Based on the network of inter-regional tours, topic-based tours like forest, sea, Đồng Tháp Mười wetland, U Minh, and Năm Căn and rural exploration ecological tours will be created. The region will also develop national and international tourism tours in collaboration with HCM City, Cần Thơ City, and Cà Mau. For example, the south coastal corridor route (Thailand – Cambodia – Rạch Giá – Cà Mau) and tours via international border gates of Hà Tiên and Tịnh Biên in An Giang province, Dinh Bà and Thường Phước in Đồng Tháp, and Bình Hiệp bordergate in Long An. There will also be sea routes via ports in Cần Thơ and Phú Quốc and waterway routes on Tiền and Hậu rivers to Phnom Penh and Seam Reap in Cambodia. International air tourism will be increased as well by upgrading and expanding Cần Thơ and Phú Quốc international airports.